(Reuters) - North Carolina Republican Party leaders said on Thursday they would be open to holding a new congressional election in a district roiled by fraud allegations if a state investigation finds enough evidence that the outcome of the race was affected. 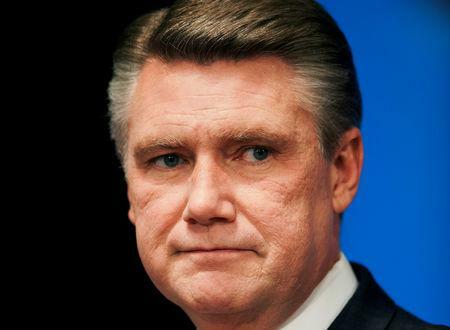 Almost a month after Republican Mark Harris declared victory in his race for a seat in the U.S. House of Representatives, the North Carolina board of elections is declining to certify the result as it investigates mail-in ballots from two rural counties. If fraud is uncovered, the board could order a new vote. Democrats in the U.S. House are also calling for an investigation and could rule on the contest when they take control of the chamber next year. North Carolina Republican Party Chairman Robin Hayes said his party supports a public hearing by the state election board on the investigation into allegations of improper handling of ballots by political operatives. "If they can show a substantial likelihood it could have changed the race then we fully would support a new election," he said in a statement, adding that Harris should be certified the winner if the ballots in question would not have changed the outcome. An analysis by Michael Bitzer, a politics and history professor at Catawba College in North Carolina, found Harris won 61 percent of these votes, even though registered Republicans cast only 19 percent of the absentee ballots. To explain the results, Harris would have needed to also win every voter unaffiliated with a party, or about 39 percent of the absentee voters, along with some Democratic votes, Bitzer said. "I'm not saying that can't happen, but there is a very high probability that it did not," Bitzer told Reuters by phone, noting the absentee vote in the rest of the district favored McCready. Bladen and another rural community under review, Robeson County, saw high interest in absentee ballots this year with abnormally large numbers of ballots unreturned, Bitzer's analysis showed. Republican state lawmakers on Thursday said questions have been raised about mail-in ballots in Bladen County for years, including in elections where Democrats appeared to benefit. In a press conference, a group of Republican legislators called for Governor Roy Cooper, a Democrat, to convene a bipartisan panel to investigate, claiming the state's elections board was not neutral despite having bipartisan representation. Democratic leaders questioned their motives. "Republicans claim to care about putting a stop to election fraud and protecting the integrity of our elections," North Carolina Democratic Party chairman Wayne Goodwin told reporters. "But with the most egregious case of election tampering our state has seen in decades in front of all of us, Republican lawmakers are attempting to pass blame and derail an ongoing investigation." The state elections board has said it would hold a hearing by Dec. 21.